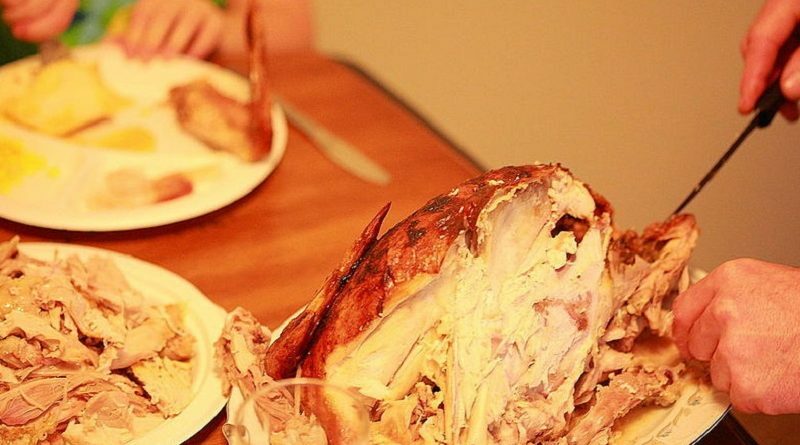 You’ve probably heard about the #25LbTurkeyChallenge on social media. If not, quick recap: Ask your mom how long does it take to microwave a turkey! Place the turkey breast side down on a microwave-safe dish or plate. Microwave it for four minutes per pound on full power (for example, 36 minutes for a nine-pound turkey) to get the cooking process started. After the initial cook time, the rest of the cooking needs to be on a lower power setting. Remove the drippings and baste the partially-cooked turkey so it begins to get that golden-brown skin. Flip the turkey over and cook it at 50 percent power for eight minutes per pound (72 minutes total). Stop cooking every 18 minutes to check the turkey’s temperature with a meat thermometer and baste it with the natural juices or a browning sauce. When the turkey reaches a temperature of 180 to 185 degrees in the thigh and 170 to 175 degrees in the breast, it is ready. Baste the turkey once more before serving.